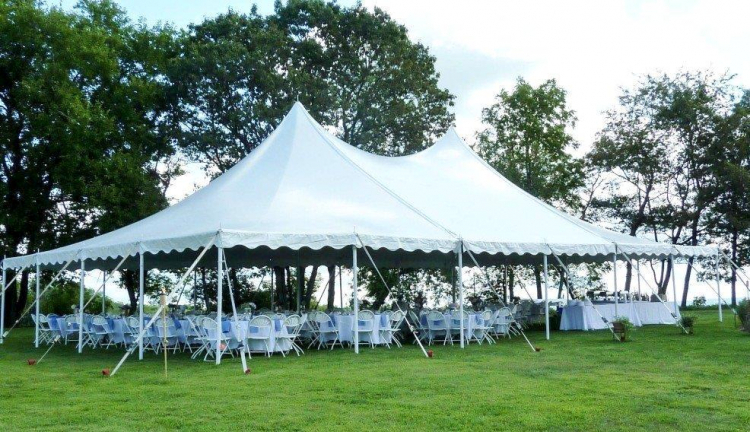 This Double Peaked Party Tent rental will impress your guests and make your event memorable. 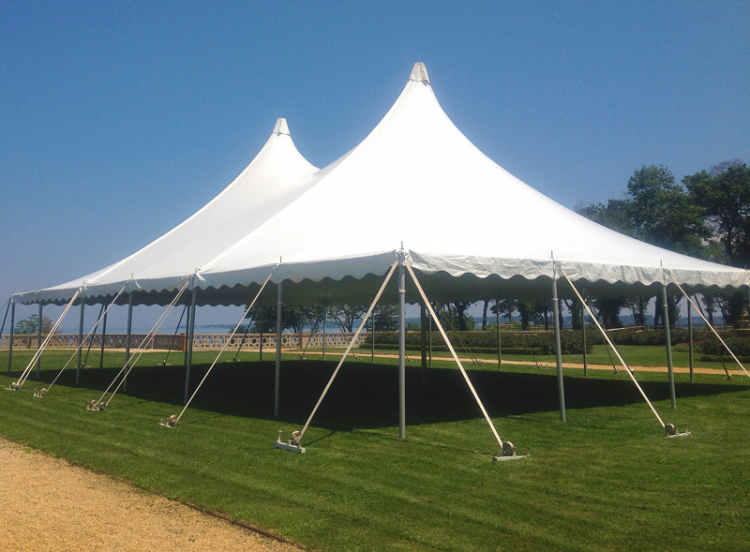 This large 40×60 High Peak Pole Tent is a necessity for any outdoor wedding or event. If you’ve been dreaming of an outdoor wedding, be sure to not let anything rain on your parade – especially actual rain! A large tent rental is perfect for providing shade for guests on a hot day, and for sheltering them from the rain should the weather take a turn. Additionally, a beautiful white wedding tent rental can open the doors for outdoor party lighting, decorations, and more – all while creating a romantic and classy atmosphere for your guests to enjoy. This 2400-square-foot party tent rental will wow your guests when they first see it and is sure to make your event feel extra special. Space Measurement: 2,400 sq. ft.